SALEM, Va. (WDBJ7) Salem Delegate Greg Habeeb is stepping aside, and the race to replace him is now on. Monday morning, longtime Roanoke County Supervisor Joe McNamara became the first candidate to say he’s running for the 8th district seat. 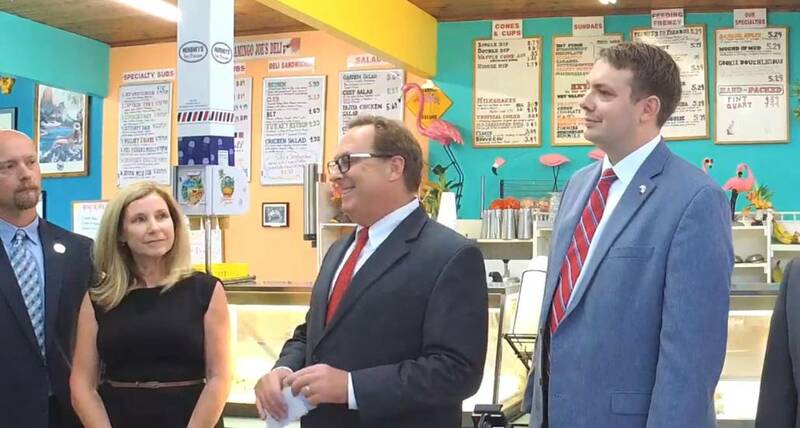 Local Republican leaders joined McNamara for the announcement at his ice cream shop in Salem. McNamara said he believes his extensive local experience and conservative voice will serve the region in Richmond.